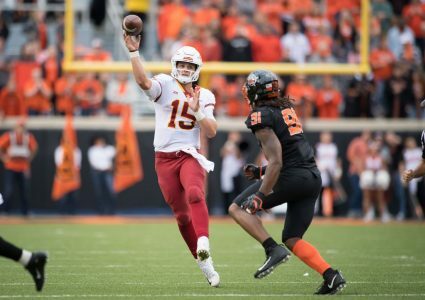 Brock Purdy burst onto the scene in 2018 and solidified himself as one of the best young quarterbacks in college football despite not arriving in Ames until the summer session. 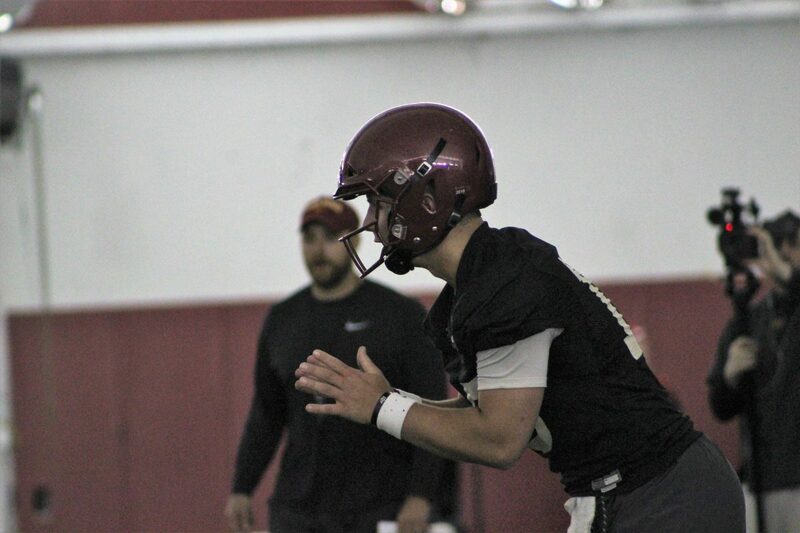 This month, the now sophomore signal caller began his first spring practice at the collegiate level prepared to take the next steps in his development. While Purdy still has improvements to make in the purely technical pieces of playing quarterback, it is in another aspect of the position Iowa State head coach Matt Campbell hopes to see him make a huge jump during the 15 spring practices. Purdy certainly elevated the play of everyone around him last season as he helped lead the Cyclones to a 7-2 record after taking over as the primary quarterback in the team’s fifth game and a 1-3 start to the year. The Gilbert, Ariz. native went on to set Iowa State freshman records in passing yards (2,250) and passing touchdowns (16). He did that while posting the highest passer rating by a true freshman in NCAA history (169.91) and also adding 308 yards and five touchdowns on the ground. The production speaks for itself and puts Purdy on track to eventually be regarded as one of best quarterbacks in Iowa State football history. With that said, Big 12 teams will now have nearly a full season of film on the young gunslinger. He will no longer surprise anyone with his talents as he did during his breakout performance against Oklahoma State, a game in which he compiled 402 yards of total offense and five touchdowns. 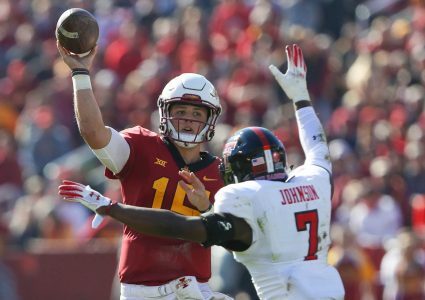 It is going to take further growth in his abilities as a football player and as a leader in order to truly bring the Cyclones’ revolving door under center to a complete halt for the next three years.